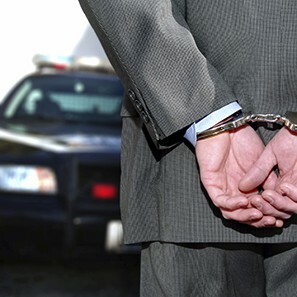 Our lawyers have served as prosecutors, government enforcement lawyers and defense counsel. We appear in state and federal court and numerous government regulatory agencies. We also assist clients with navigating through government investigations. Allegations of corporate wrongdoing require special treatment. Our actions need to be direct and we must be responsive to the requests of investigators while protecting the business interests of a company and its executives. Discretion is paramount. The best possible outcome is usually achieved by partnering with lawyers who have significant, front-line experience and an ability to determine the direction of an investigation. The White Collar Defense, Investigations and Corporate Compliance Group includes lawyers who have practiced as prosecutors, government enforcement lawyers and defense counsel. Representations have included criminal defense in state and federal court and appearing before numerous government regulatory agencies, including the IRS and the SEC. Members of our group have not only tried cases as defense counsel, but we have extensive experience in assisting clients to navigate through government investigations in order to avoid official action. Corporations that operate internationally must comply with government regulations and understand the limitations placed upon them by both the United States government and other jurisdictions. As enforcement actions concerning bribery and public corruption increase, there is a clear need for the professional guidance that our lawyers can offer. Members of our group are knowledgeable concerning these rules, including the United States Federal Corrupt Practices Act and the United Kingdom’s newly enacted Bribery Act. Our group works with corporate clients to protect them against violations of these laws and to develop effective detection and investigation programs that demonstrate to governments the compliance with all applicable laws. For years, United States corporations that conduct business abroad have been warned by lawyers and accounting firms about the focus of the federal government on its enforcement of the provisions of the Foreign Corrupt Practices Act (the FCPA). The FCPA targets payments to foreign government officials by certain defined individuals and entities for the purposes of obtaining or keeping business. Enforcement of the FCPA is not solely in the purview of the Department of Justice. For example, there have been settlements of charges jointly by the DOJ and the Securities and Exchange Commission. Now, business must also pay attention to statutes in effect in other jurisdiction, most notably, the United Kingdom. Performing due diligence examinations relating to business transactions that could implicate FCPA concerns. Our experienced attorneys can advise organizations on how to comply with the principles articulated by the UK and that are clearly relevant to the FCPA. Our counseling includes offering assistance in developing programs that demonstrate a commitment to best corporate practices. Additionally, when the need arises, we can undertake to perform internal investigations that are conducted efficiently, but in a confidential, thorough and comprehensive manner. Our lawyers also have assisted public and privately held corporations to conduct internal investigations, evaluating allegations of internal fraud, misconduct and embezzlement. As a result, we have worked closely with our corporate clients to maintain high standards of corporate integrity. We provide legal advice to corporate clients on how to establish and improve internal compliance practices. In this regard, we counsel clients on best practices to protect corporate secrets, preserve documents and other records and grow a culture of corporate responsibility.